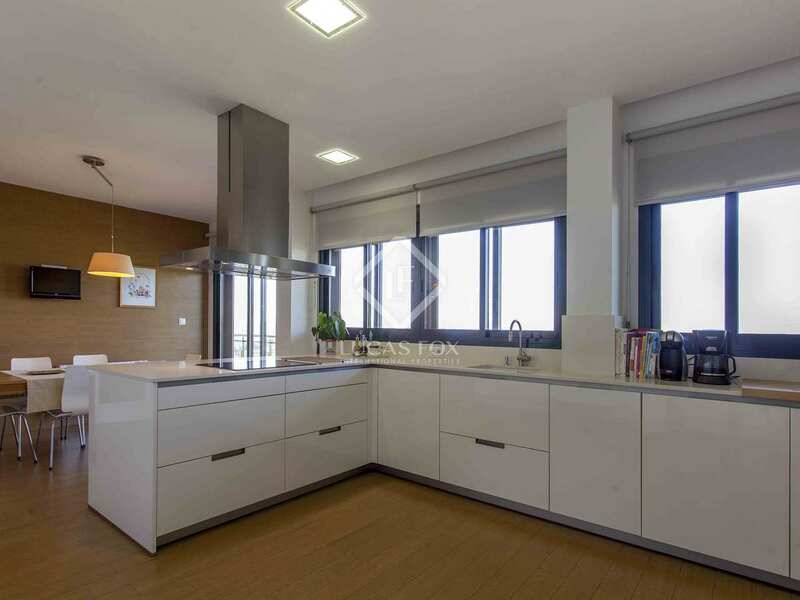 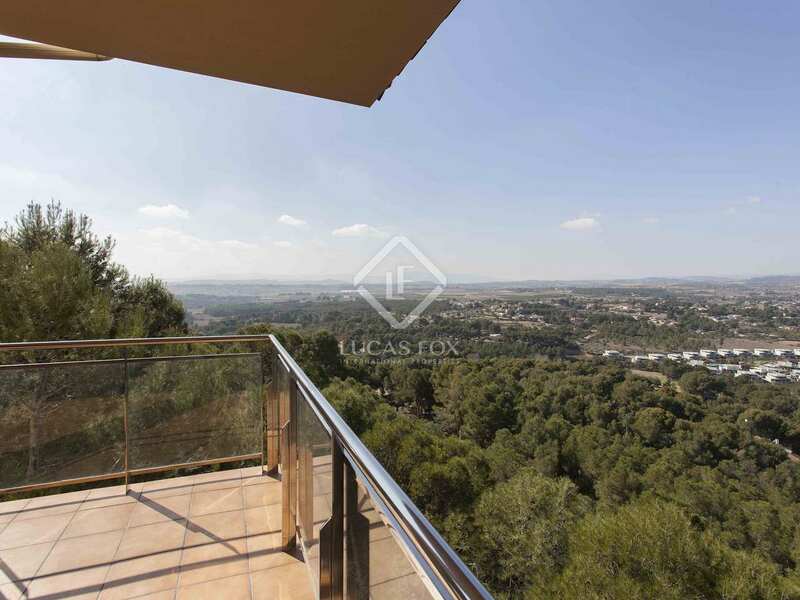 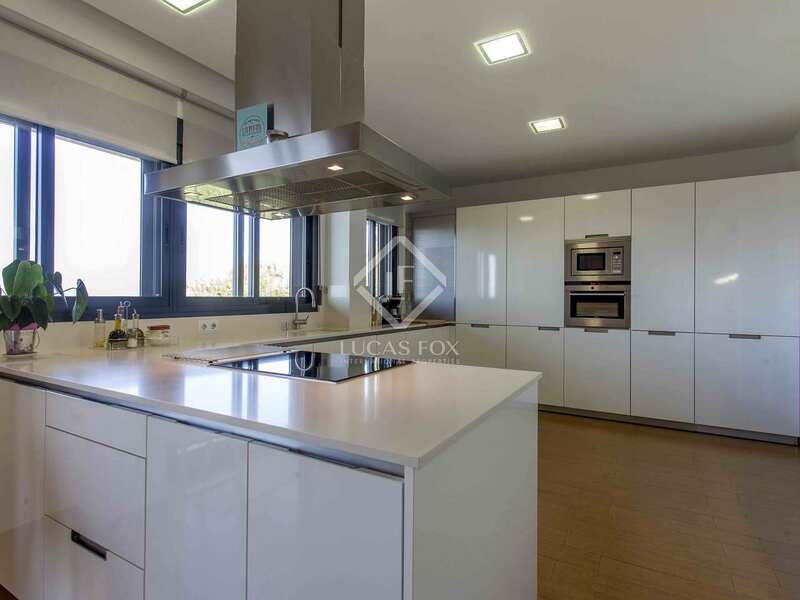 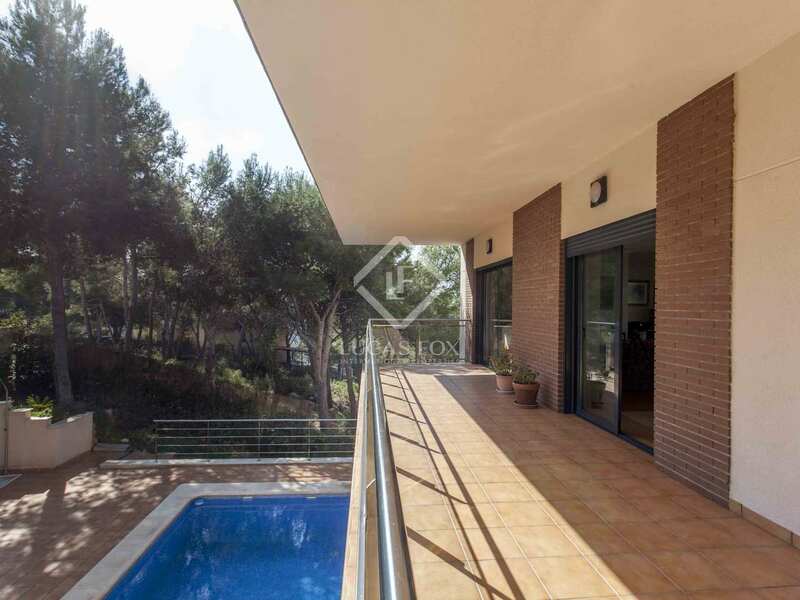 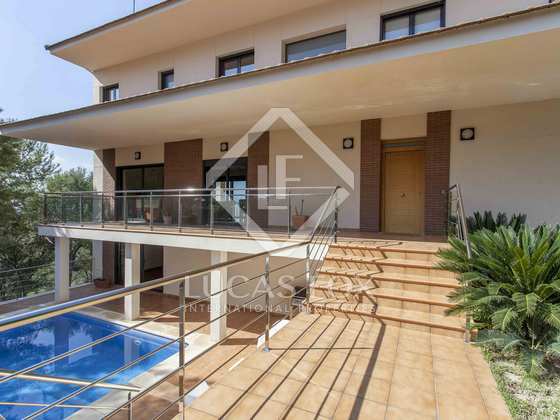 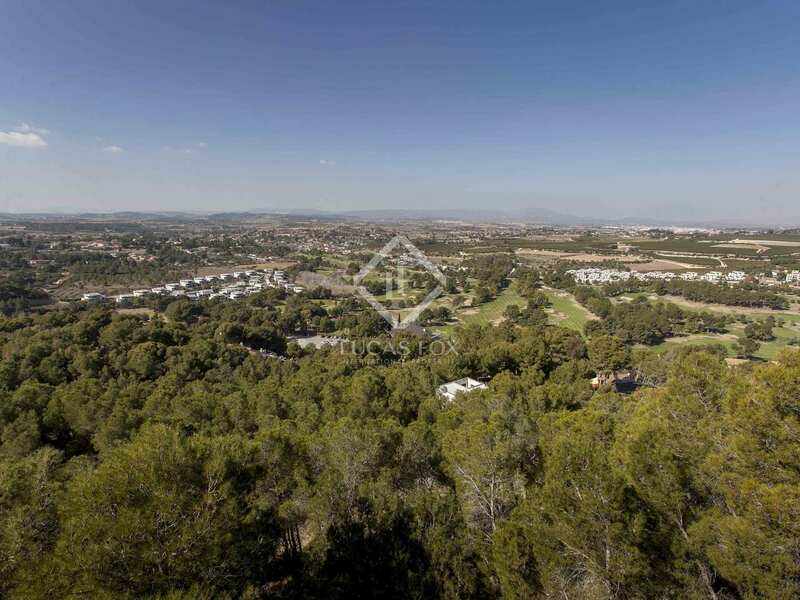 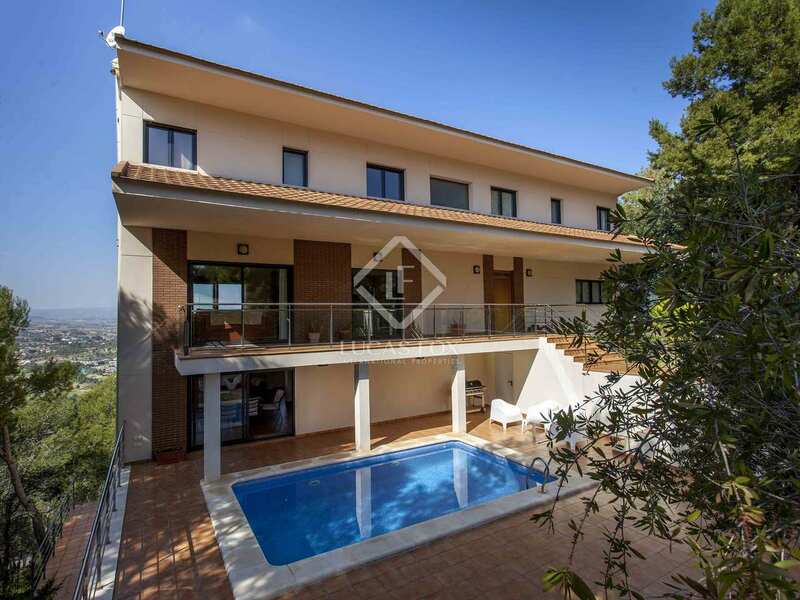 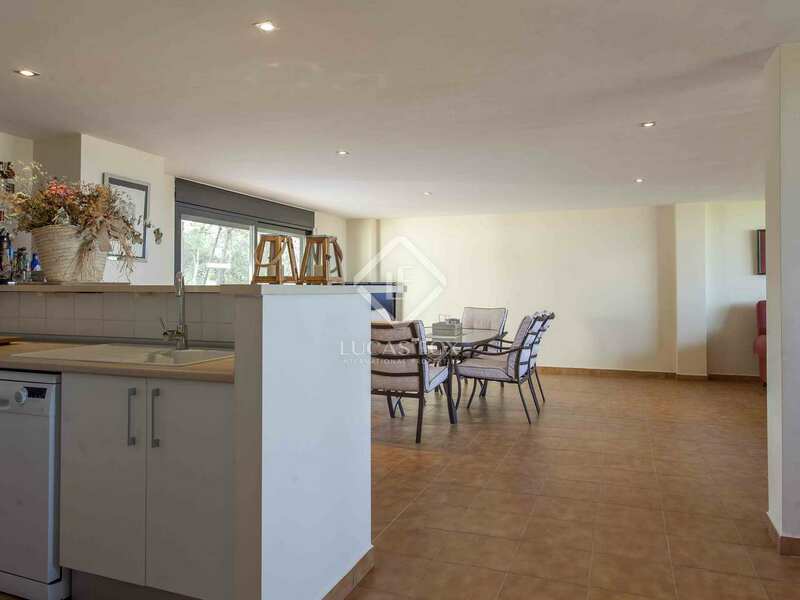 Fantastic 5-bedroom villa with a pool and panoramic views of the golf course and mountains in the gated community of El Bosque, 25 km from the centre of Valencia. 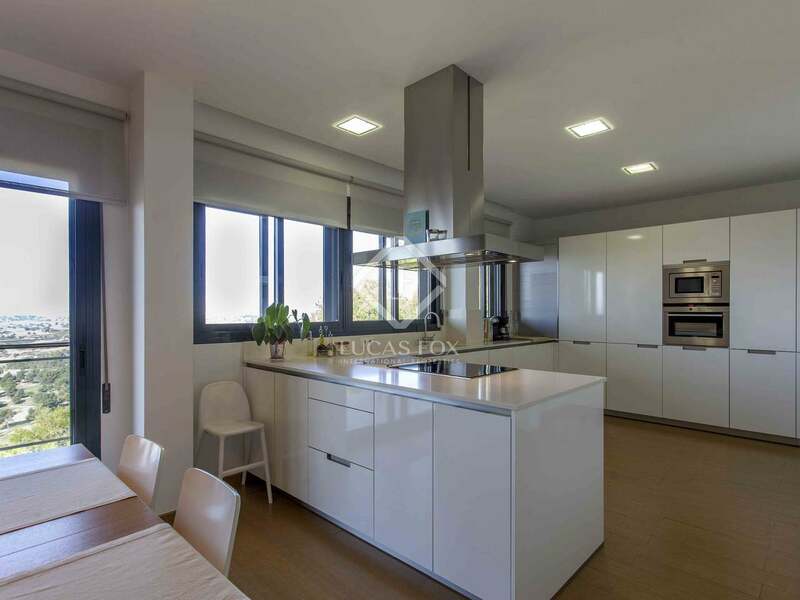 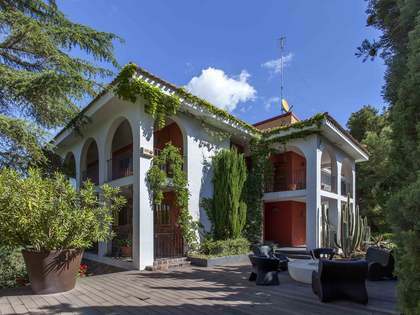 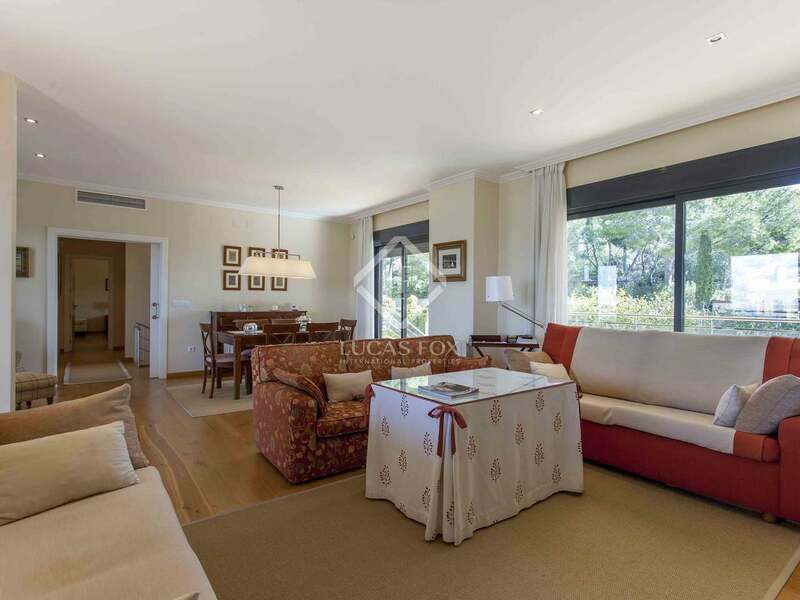 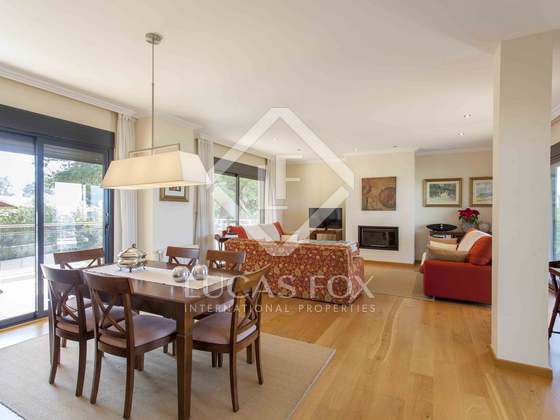 Villa of 371 m² located on a plot of 1,000 m² in the private urbanization of El Bosque, with gated security and a golf club that has 18 holes, a sports area, swimming pool, restaurants and all kinds of services. 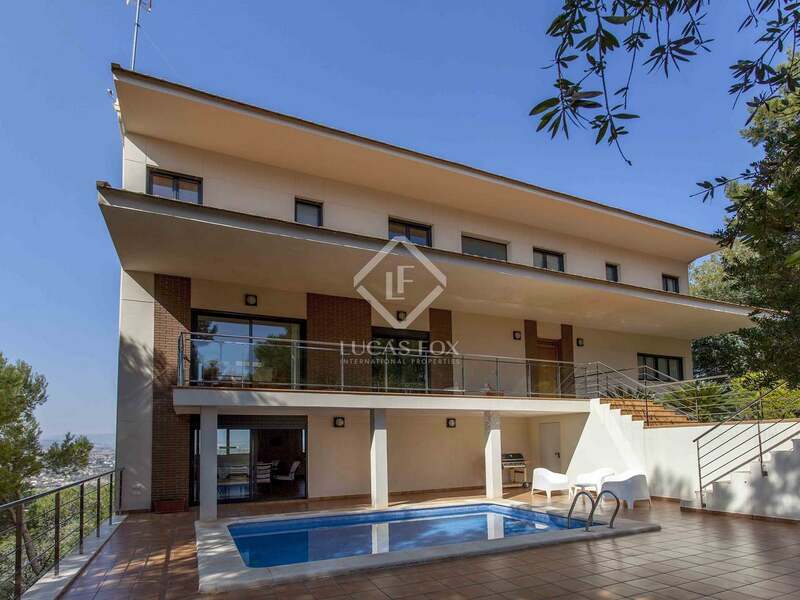 The house is distributed over 2 floors plus a basement. 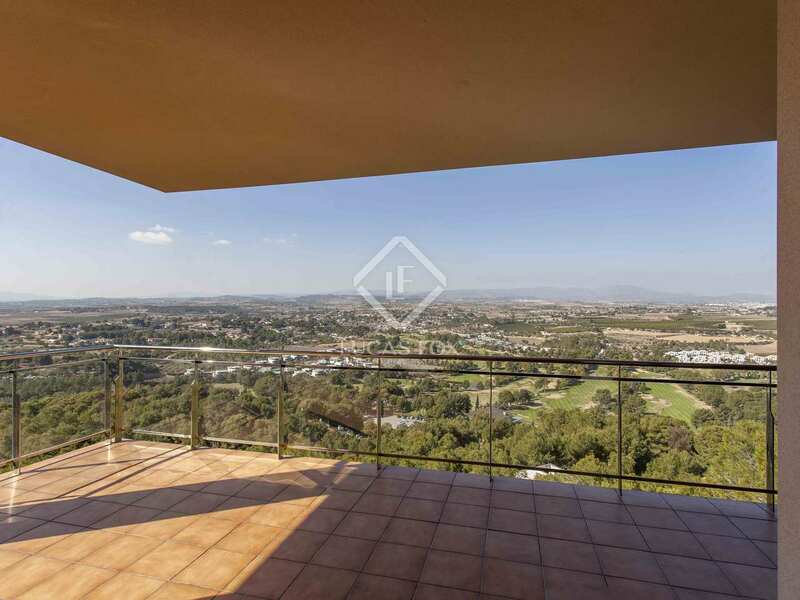 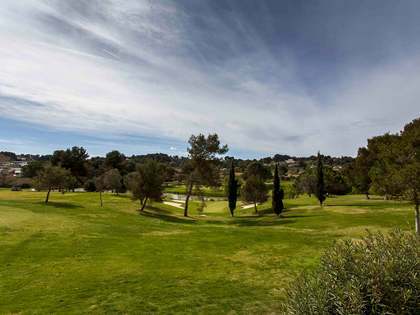 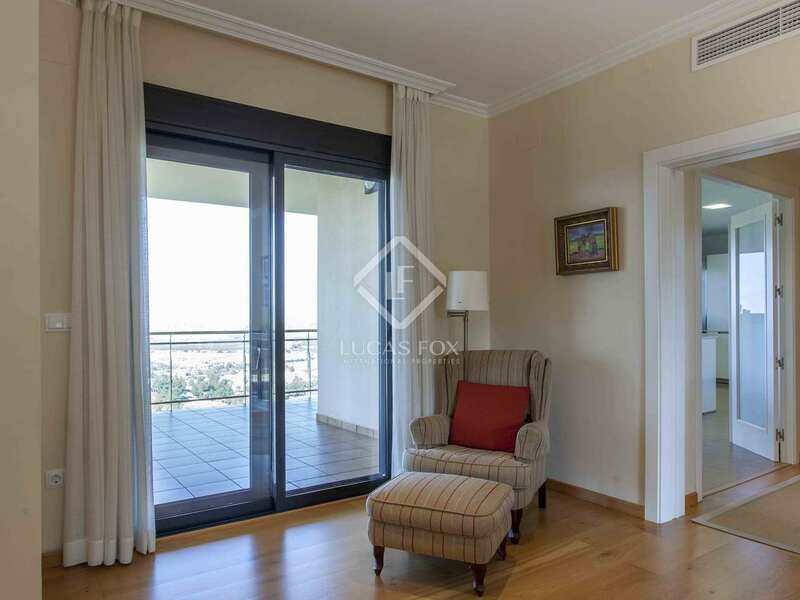 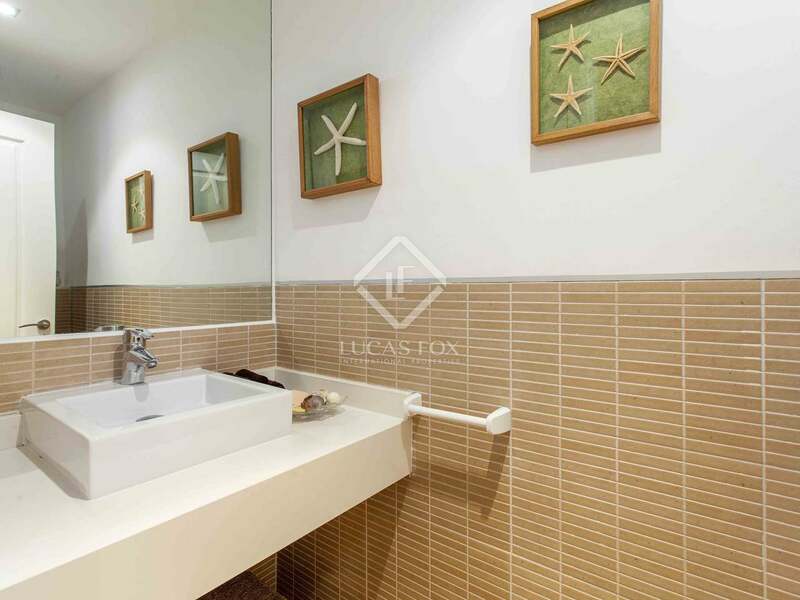 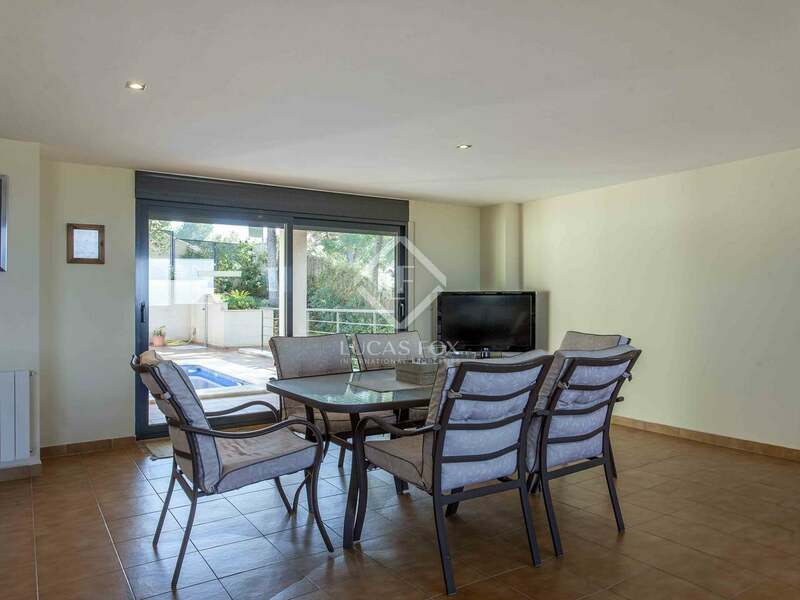 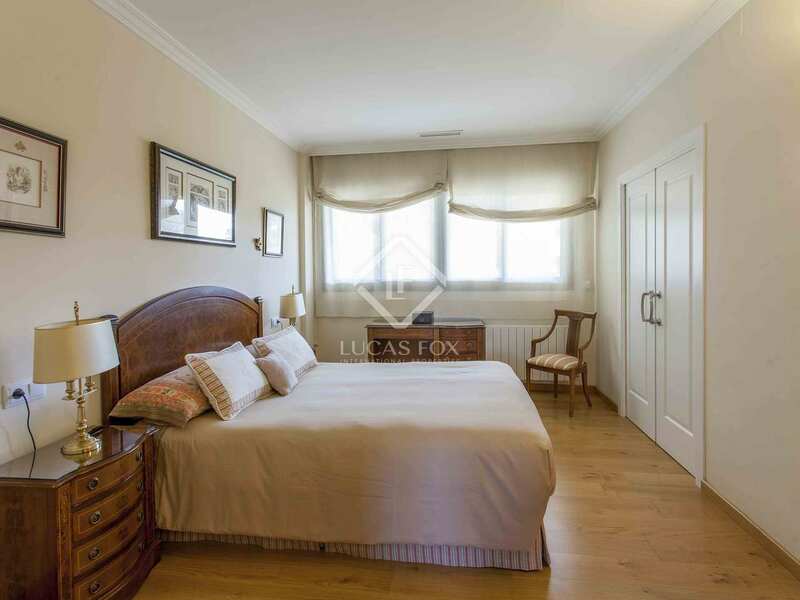 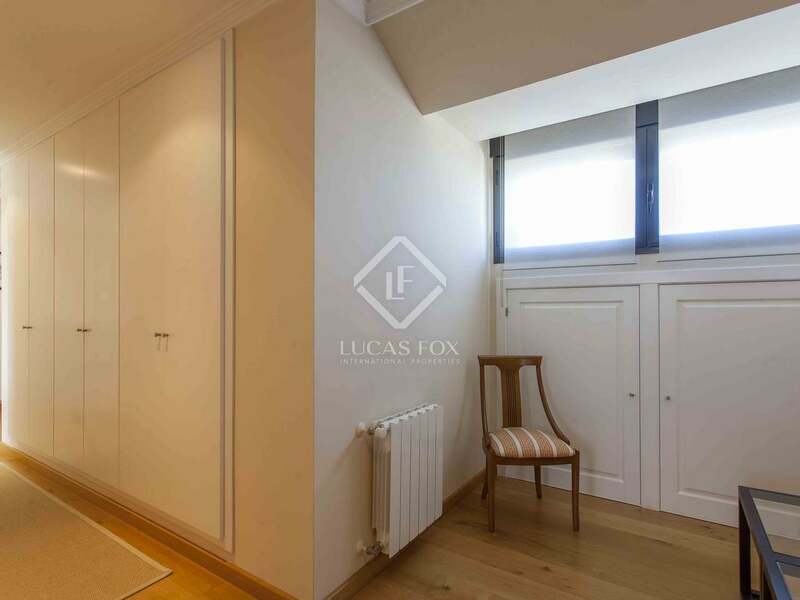 The main floor offers a hall with a toilet, a modern kitchen with excellent views, a large and bright living room with a terrace overlooking the golf course and the mountain and another terrace with views over the façade. 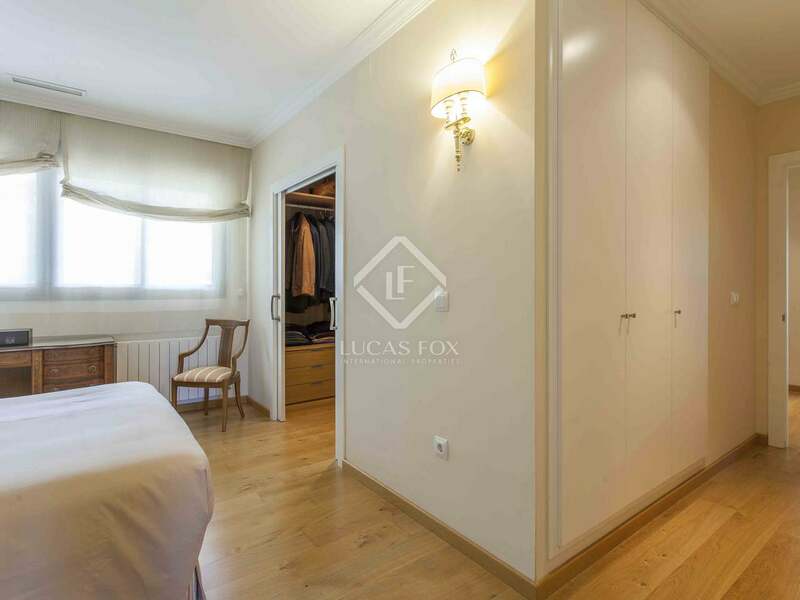 This floor also has the master bedroom with a dressing room and private bathroom. 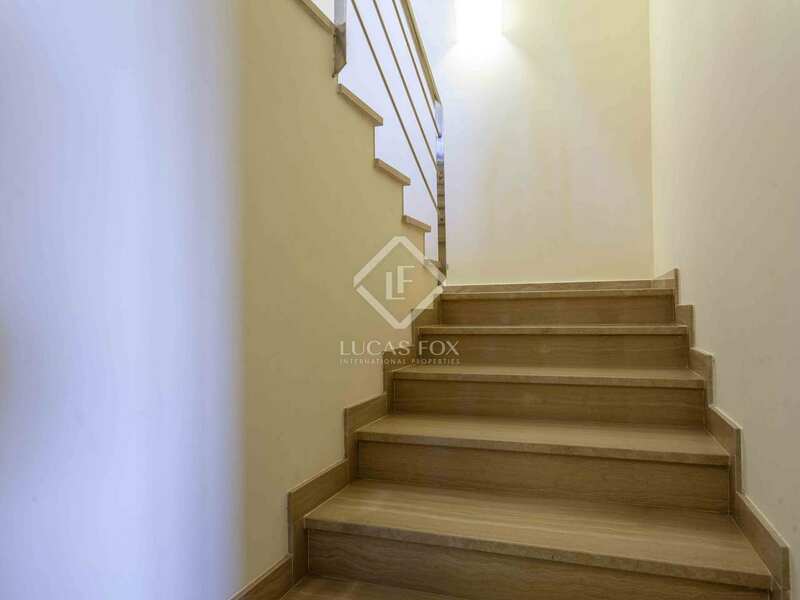 The first floor houses 4 double bedrooms (1 currently used as an office), and 2 bathrooms, one on each side of the staircase. 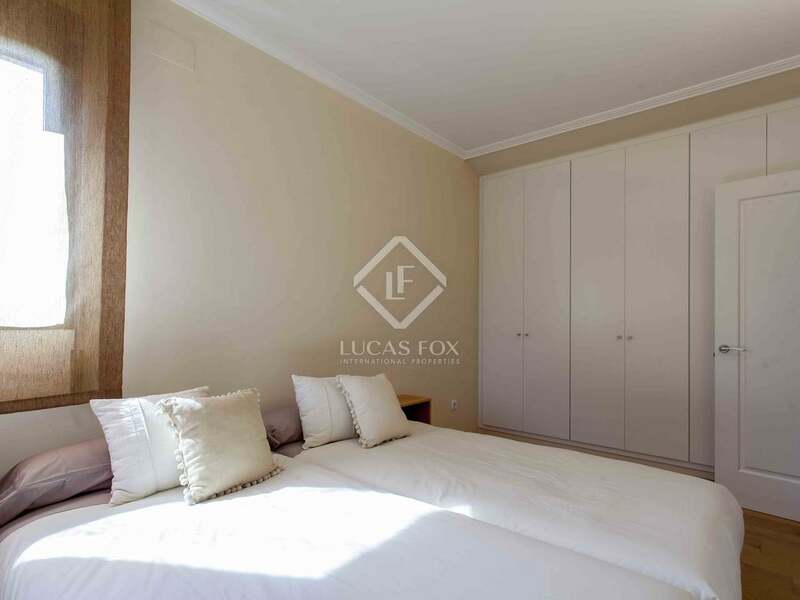 The basement houses a large multipurpose room with a bar, storage room and covered garage for 4 cars. 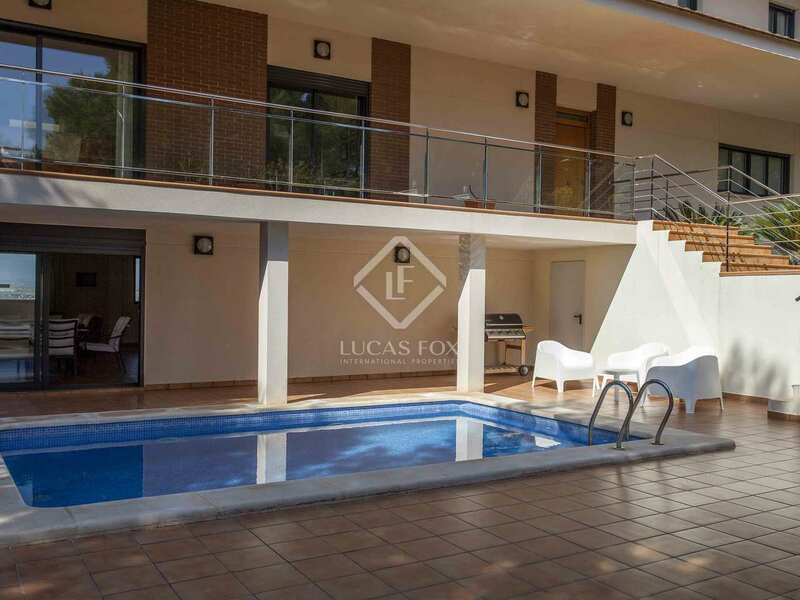 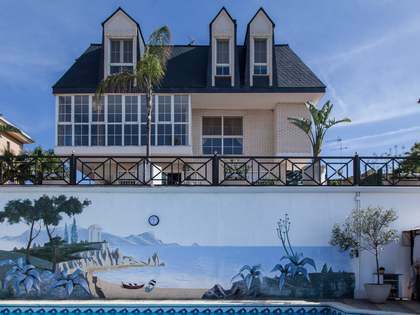 The exteriors consist of a garden at the main entrance and a terrace with a swimming pool, barbecue area and sun loungers. 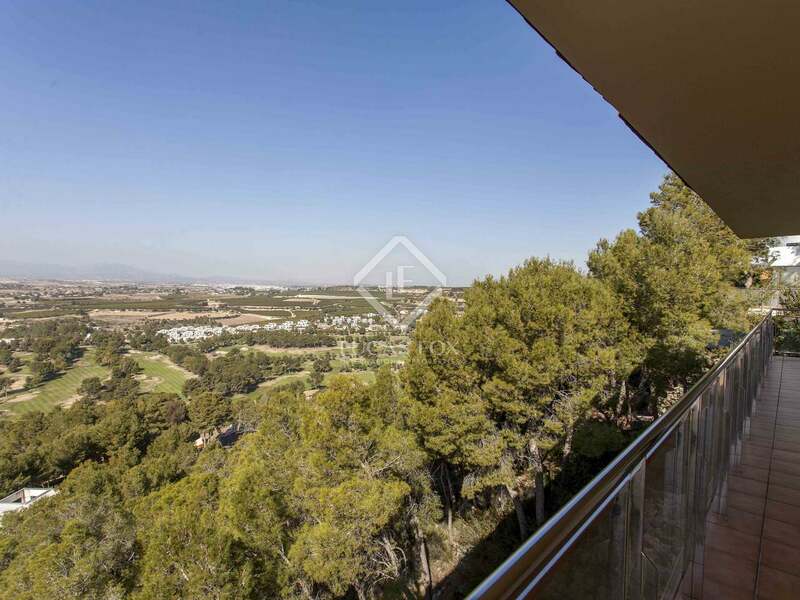 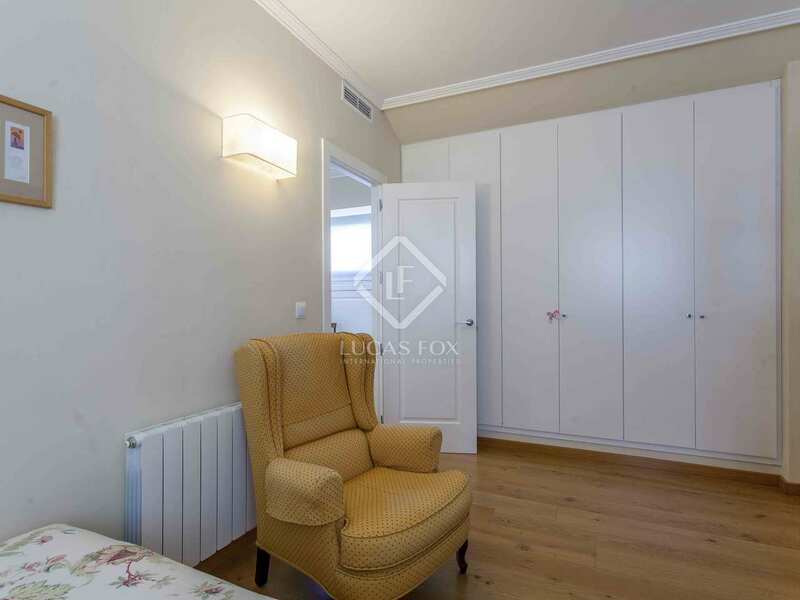 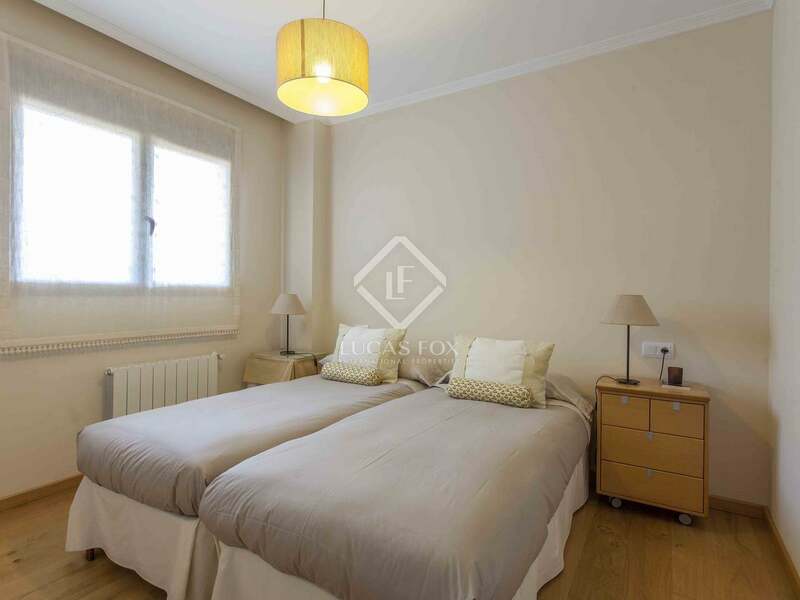 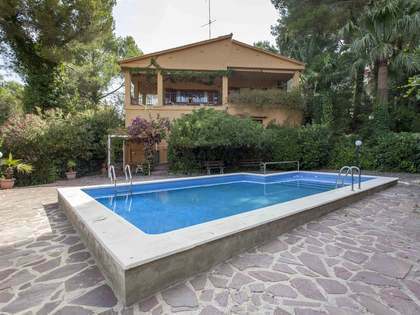 An ideal home for a family or for anyone who wants to live in a quiet, safe urbanization near Valencia. 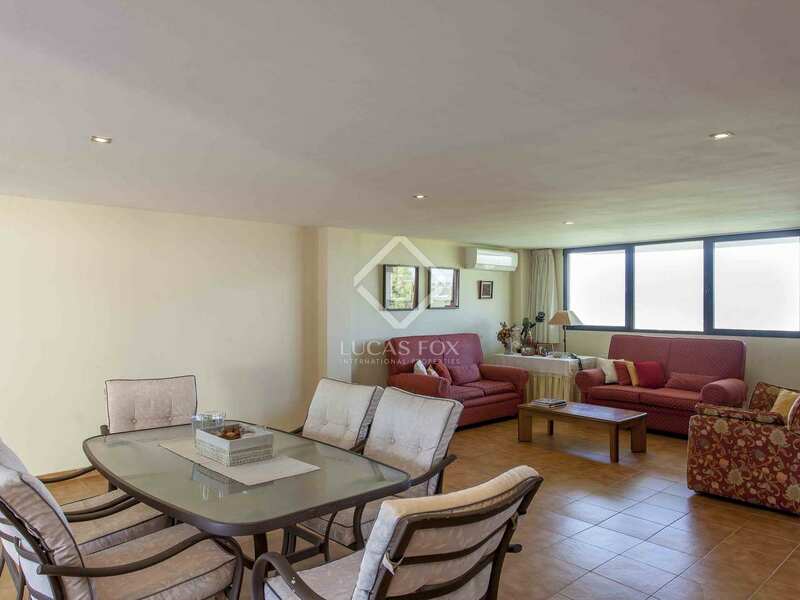 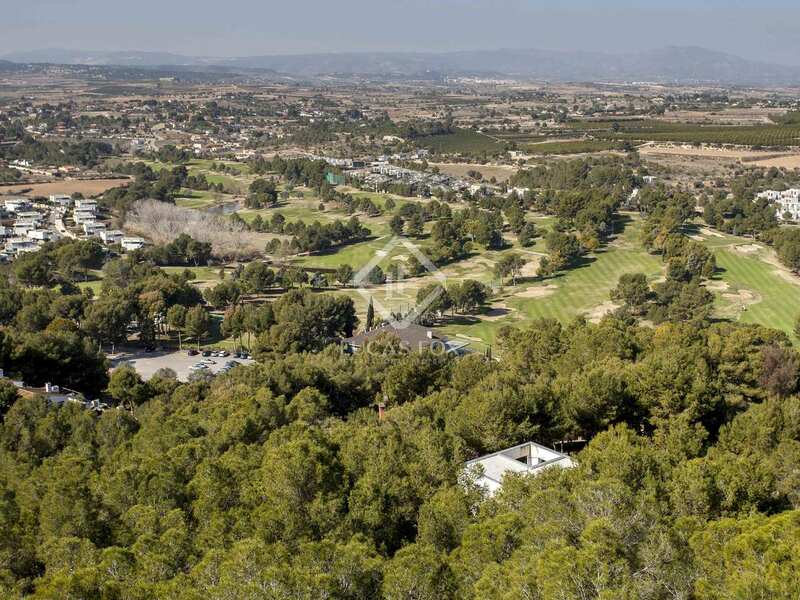 It is located in the private gated urbanization of El Bosque, with security and a golf club that has 18 holes, sports area, swimming pool, restaurants and all kinds of services. 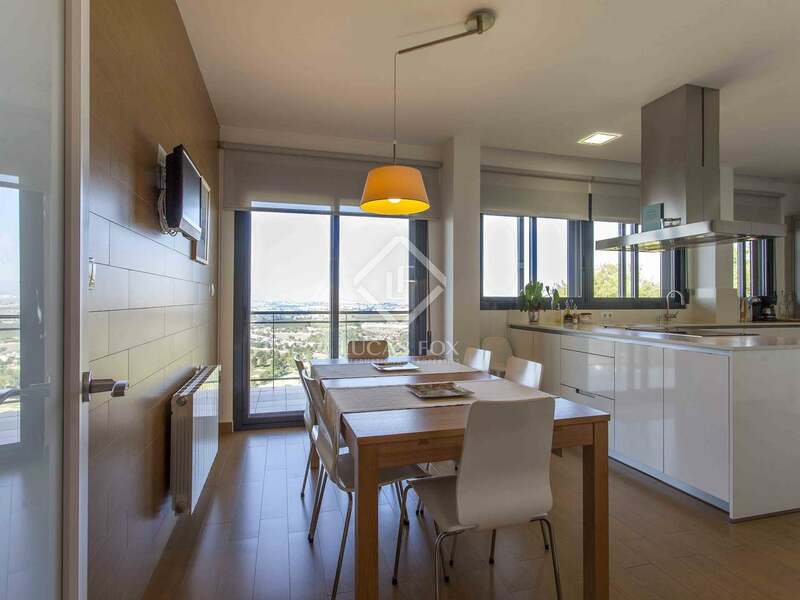 It is 25 km from the centre of Valencia and is very well connected with international schools and the airport of Valencia.